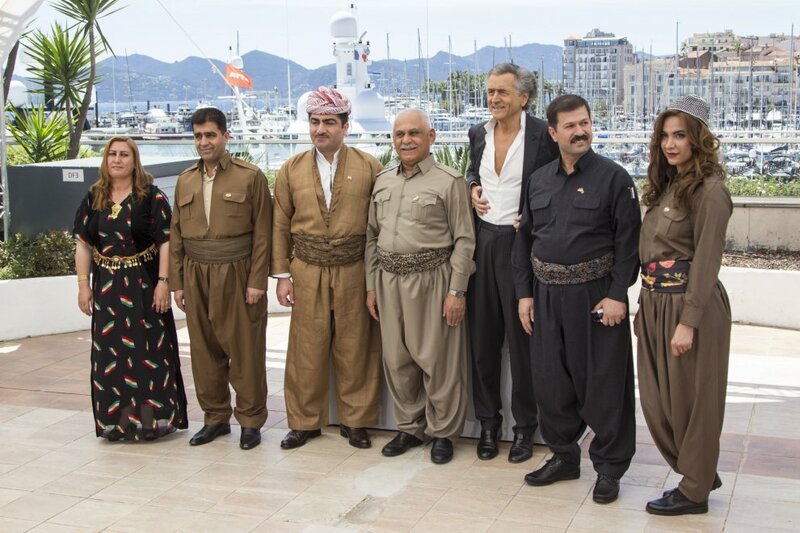 Peshmerga, headed by French philosopher Bernard-Henri Lévy has been added to the Cannes program within the Special Screenings. The documentary, produced on the front line that separates the Iraqi Kurdistan by ISIS militias, consists of footage shot during an offensive launched in July 2015 by the Kurdish Peshmerga against the terrorists of the Islamic state occupying a large swath of territory to the south. The "peshmerga", the Kurdish defense forces are leading the offensive against terrorists Da'esh with air support from the U.S. and other allied nations.. Having had to fight for their land throughout much of the last century, and having suffered a major massacre when Saddam Hussein used chemical weapons against the Kurdish population of Halabja in 1988, these are a people well familiar with war and its many repercussions. Henri-Levy is also familiar with the war: as a journalist and philosopher has traveled to many difficult places. In numerous articles, essays and books, has written extensively on contemporary conflicts in places like Kosovo, Ukraine and Libya. He traveled more than 1,000 km along the Iraqi border from south to north, filming the lives of Kurdish fighters. Attending the presentation, General Sirwan Barzani, nephew of President Massoud, and General Jaafar Mustafa along with other generals, including some women who lead combat units. With them also the co-founder of MSF, the surgeon Jacques Bérès operating in that area, and the Kurdish singer Hally Luv.